You've probably heard of Edward Sharpe & the Magnetic Zeros, or at least their song "Home," but if you haven't yet, check out Alexander, the solo project of lead singer Alexander Ebert. His album isn't new, but still makes its way to the top of my playlist quite frequently. "A Million Years" seemed the most fitting title for this sunny-day-last-week photo shoot, with its up-beat tempo and generally bright flavor. Rag & Bone top, Current/Elliott leopard stiletto, Isabel Marant Dicker boots, Urban Outfitters sunglasses (similar), and bracelets by Prada and a random Costa Rican shop in Tamarindo. Stingray kind of rocks. I'll definitely be checking out that song today. And I love your Isabel Marant booties! I'm sure they go well with about a million different things! Swoon! Um.. can I please raid your wardrobe! Ha! Thank you :) Anytime, darling. Como me gustan tus botines. simply and casual look, but looks great on you, ahhh :) you look so happy too! i LOVE those pants you look fabulous giiiirly!!! I like this post so much: these pictures are so nicee! 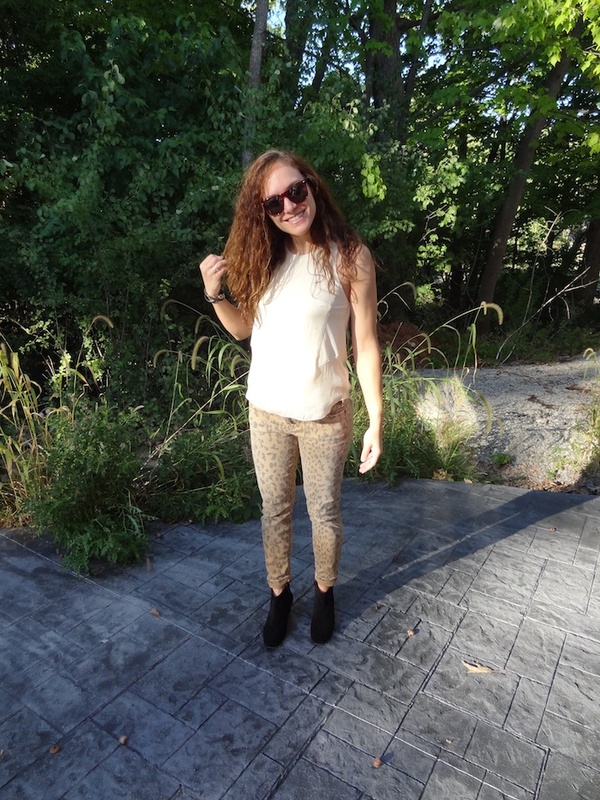 I like leopard print :) You look awesome! You look fabulous. I love your pants, so cute and fun! Love your hair! you are gorgeous! would you maybe like to follow one another?? I like your pants with a print! so beautiful! maybe follow each other in bloglovin? Thanks, I'd love to follow each other on bloglovin! Wow! totally liked the leopard print leggings and black booties! Gold Chain Bracelet - Free Shipping! Thank you! Rag & Bone does so well. I am loving those pants...also love the way you paired it :). Thank you for your comment on my blog dear!! I’m following you back! If you want we can follow also on bloglovin, fashiolista, google+, twitter and facebook? Come back soon to visit my blog: Cosa mi metto?? ?